The dream of building your own home is an integral part of the American Dream that many of us strive for. Home construction loans can be confusing, and all the paperwork can be overwhelming. The process of building your own home can seem like a daunting task, to break ground on your private land and make your home from the foundation up. However, there is a process in place before you can crack open your Pinterest boards and start the designing process. First, you will need to seek out a real estate professional and a mortgage broker to help you set your budget and find the land or vacant lot that you need to build your dream house on. Homes for Heroes is the nation’s largest real estate affiliate network committed to saving heroes money on a home. Sign up on our website for a no-obligation phone call. We are here to assist you in finding that perfect plot of land to build your dream home. Signing up is quick and straightforward. We will put you in touch with a real estate professional in your area that knows the ins and outs of local neighborhoods, and the lots available that you can purchase and build your home. The next step is to find a builder. You may not initially think that a real estate professional is necessary when you are interviewing builders to select the floor plan, upgrades, and design that works best for your family. Having a real estate professional helping you through this process is vital to ensure the builder listens to your needs and keeps them in consideration. It merely provides another layer of support for you in the journey of building your own home. 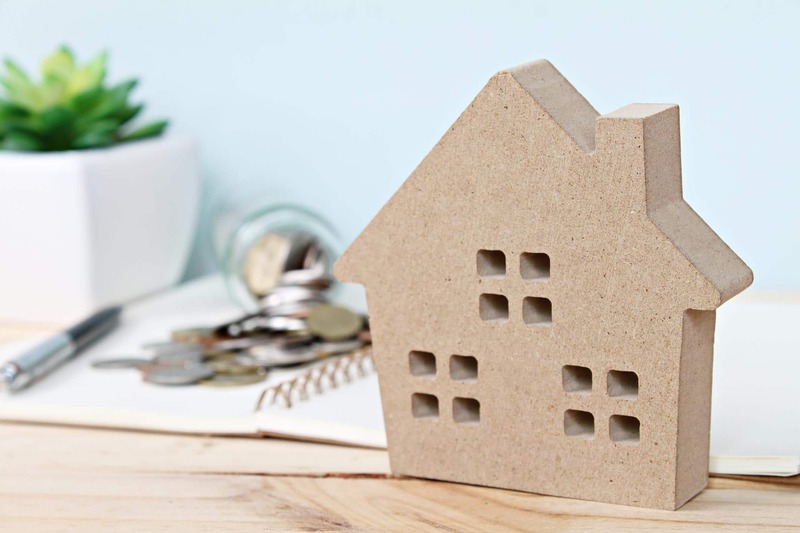 Securing financing for your home through construction loans is a little different than other loan options available on the market for purchasing an existing residence. For existing homes, there are options like USDA loans, FHA loans, conventional loans, as well as Veteran loans, and several other options. Construction loans are different in that the options for your consideration are a bit more limited. Once you have figured out your budget for land and building, found the property or lot that works for your dream home, then the next step is to secure construction loans. 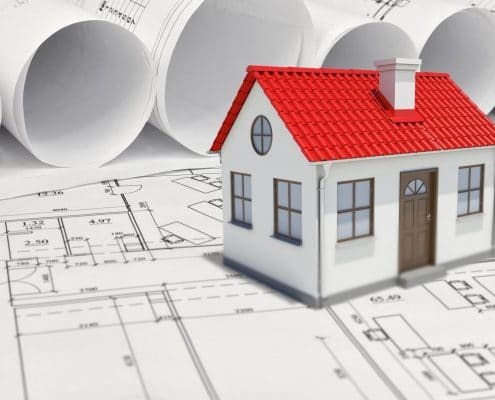 Lenders base construction loans on the plans that the builder submits to the bank or institution you are using for the total projected amount that it will cost to build the home. There are two types of construction loans that you can choose. Work with your Homes for Heroes lending specialist to help you decide which one will work the best for you and your family. The first type of construction loan is a two-step construction loan, known as the construction-to-permanent loan. With this loan, the process begins with funding the construction portion of the loan. The loan funds the costs of construction, then you make payments throughout the building process. Payments are made monthly and are typically only the interest of what has been paid out, or the cost of building each month. With the permanent-to-construction loans, lenders may lock the interest rates. Work with your lender to make sure you are getting the best rate possible. During the construction phase, your interest payments are only on the outstanding balance. That creates a stair step kind of payment. Each month, the outstanding balance grows as the construction moves along, incurring costs, the interest payments get higher and more significant until construction is complete. Once construction is complete, the permanent loan portion of the construction-to-permanent loan comes into play. Closing costs and appraisal fees are typically paid out once, with the balance of the construction loan converting to the permanent mortgage loan. This loan could be an ideal option if you do not have the 20 percent down for a loan like the construction-to-permanent loan requires. If you own the home that you are currently living in, and need the money from the sale of the house, and can come up with a smaller down payment, then the stand alone might be the option for you. However, there are more fees involved with this loan than with a construction-to-permanent loan. Mostly, you pay closing costs and fees on the construction loan. You can’t lock rates as you can do with many construction-to-permanent loans, so the rate is variable. Much like the construction phase in the construction-to-permanent loans, payments are made each month on the balance of the account. The balance grows each month, and as the construction nears completion, the interest payment grows. Keep in mind that since your interest rates are not locked, the percentage of your rate can change, which can either make payments higher, or lower, depending on the market. Once the completed property is appraised, depending on the ratio of cost to build versus the market value of the finished property, you may be savvy enough to find yourself in a position where your appraisal comes out nicely, and you avoid private mortgage insurance (PMI). But the market can be fickle and can change, so if you are looking to get rid of PMI, you may need to put in a down payment for the final permanent loan of 20 percent. How Can Homes for Heroes Help You? Qualifying for a construction loan can be quite the process. Since there is not a built structure to hold as collateral, the bank will want detailed instructions, plans, lists of materials, and other documents. Work with your Homes for Heroes affiliate loan specialist to make sure you are choosing the loan that fits your needs best. Sign up for more information and we will put you in contact with an affiliate in your area. 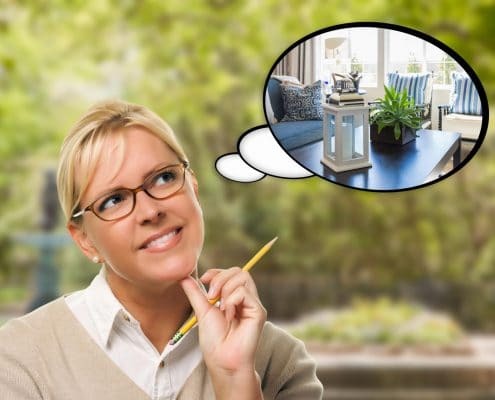 Once all the details and funding are in place, you can begin the fun part of picking your finishes, paint color and designing your dream home that fits your needs, style, and everything you could want in a house. Building your own home is within your reach. The first step begins with a simple conversation.